We have a lot to celebrate this Global Wind Day (June 15). Across the nation, wind energy accounted for almost one-third of new power capacity over the past five years and the American Wind Energy Association (AWEA) estimates that wind energy has the potential to double over the next few years. This success has been aided by the Renewable Energy Production Tax Credit (PTC), a modest tax credit for new facilities good for ten years after the wind farm’s start date. Like those received by the oil, gas, and nuclear industries, tax incentives help ignite growth in the market. EDF has strongly advocated for this incentive over the past few years. Unfortunately, the breaks that oil and gas have received over the last 100 years are often (conveniently) ignored by those wanting to maintain the status quo, making the PTC a point of debate among politicians. In 2012, the PTC’s renewal came down to a last minute vote in Congress, creating uncertainty for developers waiting to determine the future of their job-creating projects. Ultimately, it was extended, but in 2013 Congress stalled again and the extension was allowed to expire in January. In the meantime, wind developers sit by cautiously waiting for clear direction. AWEA estimates that this uncertainty has led to the loss of 30,000 jobs. The wind industry is a boon for Texas’ economy though, and more companies are investing in wind’s cheap energy prices and Texans are benefitting from cheaper electricity and job growth. 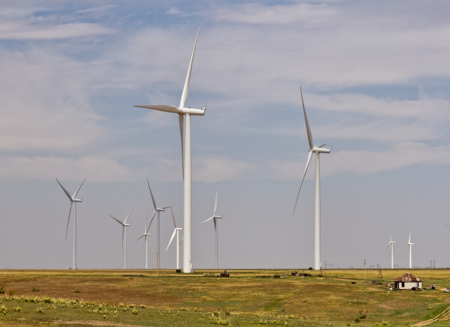 Google, BBVA Compass, and Microsoft already take advantage of Texas’ abundant wind power. And Mars Candy is now buying in with a 200-megawatt (MW) wind farm to power its 37 factories and 70 offices. 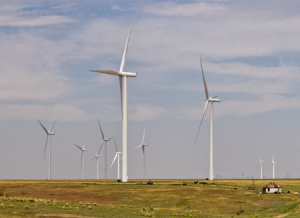 New Generation Power Texas also signed a contract with General Electric, the largest manufacturer of wind turbines in the U.S., to supply 235 wind turbines and related services for its 400 MW Texas Wind Project. 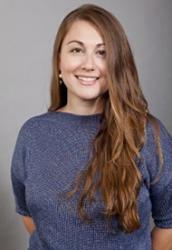 Furthermore, AWEA found that “American consumers in the top wind energy-producing states have seen their electricity prices actually decrease by 0.37 percent over the last 5 years, while all other states have seen their electricity prices increase by 7.79 percent over that time period.” These states have seen great gains in jobs, too. Texas, again leading the nation, reported an increase of 8,000 to 9,000 direct and indirect jobs in 2013. That’s why EDF is working with Texas policymakers, investors, and entrepreneurs to see that Texas seizes opportunities and drives innovation in the new energy economy. This commentary originally appeared on EarthShare. This entry was posted in Clean Energy, Climate, General, Renewable Energy. Bookmark the permalink. Both comments and trackbacks are currently closed.